Need something healthy to sip on while you enjoy the festivities? 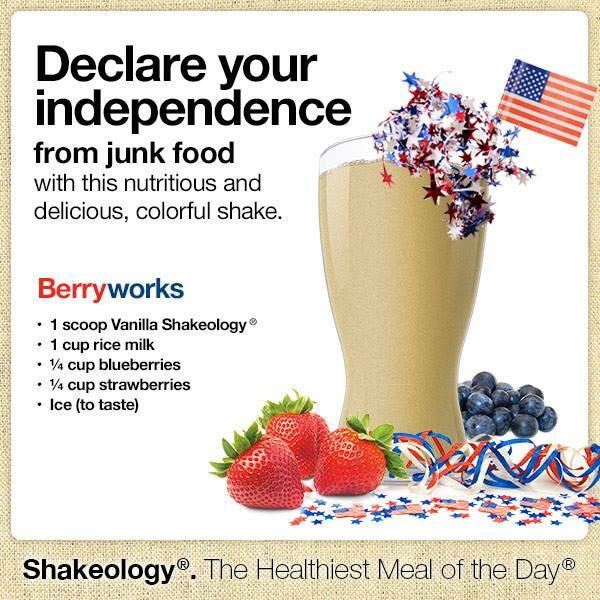 Try out the new Vanilla Shakeology flavor! Only 4 days left for free shipping! 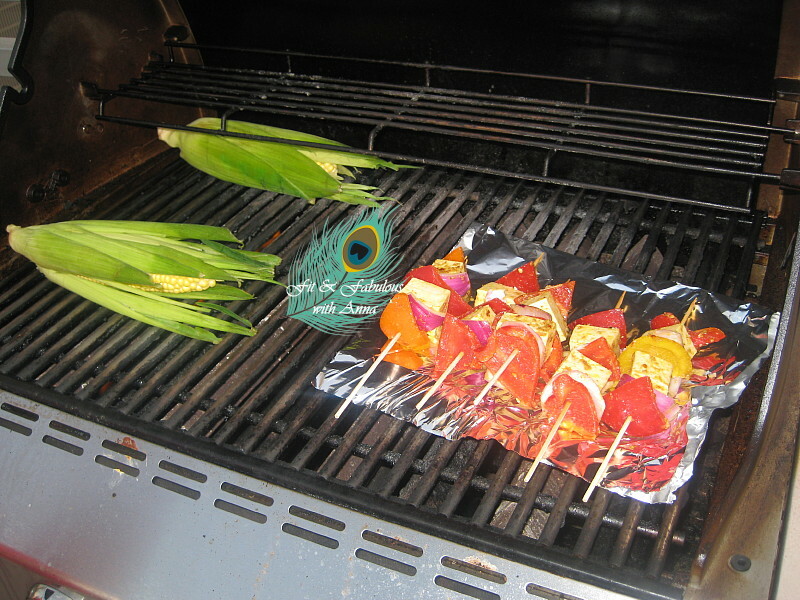 What does a vegetarian put on the grill you ask? I grill veggie burgers, corn on the cob and veggie kabobs made of halloumi cheese, red bell peppers and baby portobella mushrooms marinated in sauce first. 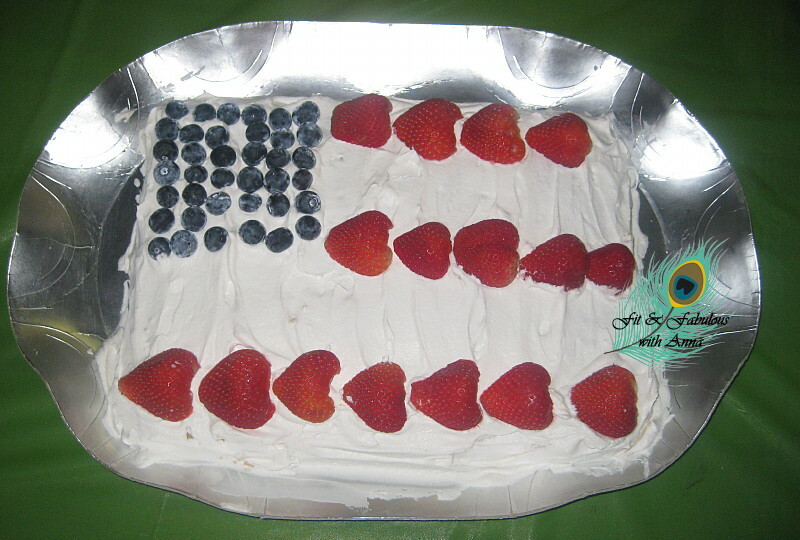 I made this tres leches flag cake a couple years ago. 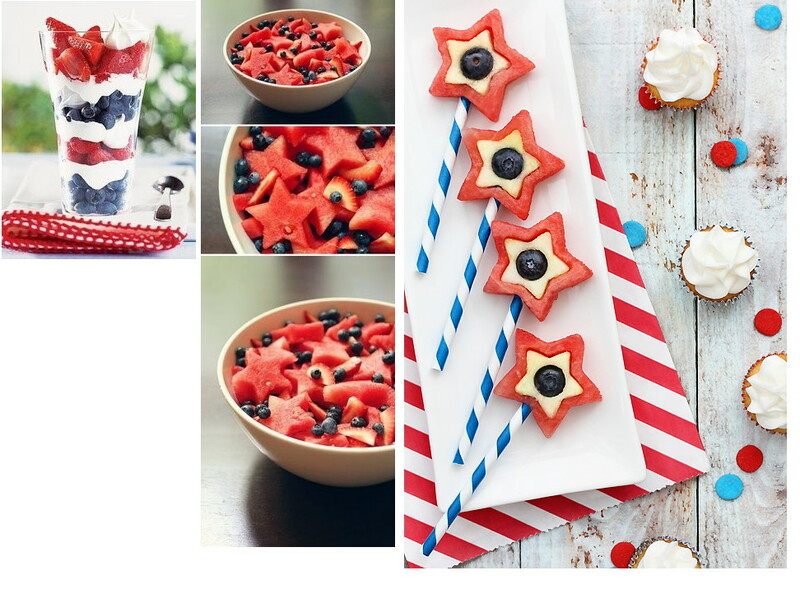 But I found some healthy fun red, white and blue 4th of July fun dessert ideas I wanted to share. I'm definitely a fan of cutting fruit into fun shapes as I did here and here. The middle picture uses star cookie cutters. The picture on the right is watermelon, apples and blueberries, to keep apples from browning brush with fresh lemon or lime juice, the straw keeps them all in place.